Real Marinero Restaurant offers culinary creations of Tequila people to treat yourself with flavors full of history. In March 1987, Real Marinero Restaurant opened its doors with a service orientation and the clear mission – to satisfying the needs of our population. Located one block from the Main Square and behind the Church of Santiago Apóstol this restaurant offers the traditional Birria de Jalisco in a space for up to 200 people. In addition to its fine cuts the bar service and variety on weekends. Some singers of the region liven up their assistants while they enjoy their specialties. A classic seafood shrimp are our breaded shrimps with a special dressing. Salad and cooked rise on the side. Chili water dish is delicious, it has a lot of spice. The arachera meat is very rich. The drinks are rich and cold. Unfortunately it is very busy and there is not much quick service. The music is nice. The food is of good quality and the specialties of the house show a lot of creativity, particularly in the Royal pineapple (pineapple gratin stuffed with seafood). The dishes have a not very attractive presentation, but this does not mean that you do not get distracted, because in the end the important thing is the taste. We also tried some shrimp wrapped in bacon and accompanied with Marlin and a mango sauce and a fillet of breaded fish and stuffed with seafood. The appetizers were breaded shrimp and Marlin. The prices are average and the service is fast and friendly. 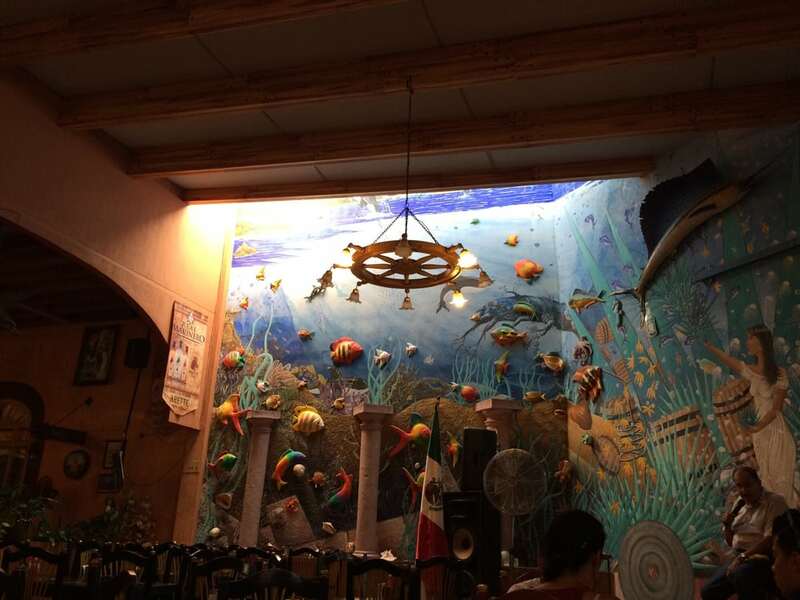 The atmosphere is familiar and there is a wide variety of tequilas … As expected.